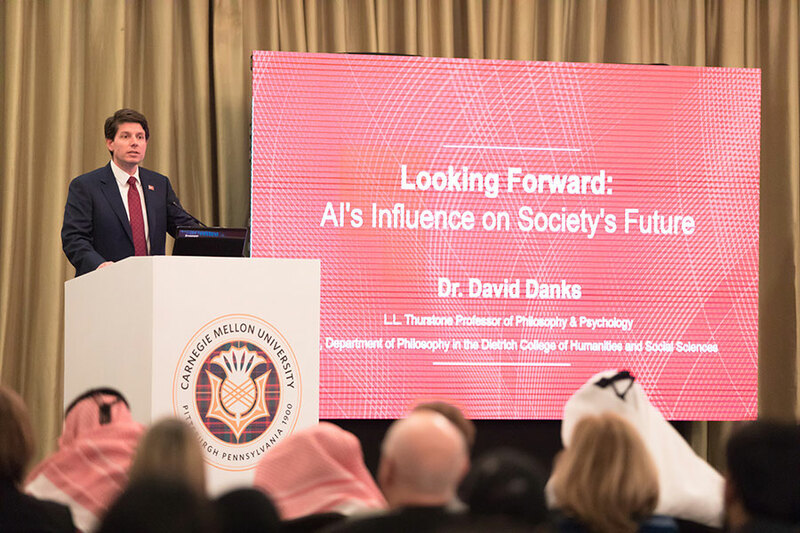 While advances in artificial intelligence (AI) are shaping society in both the short and long term, there can be negative consequences of this developing technology, said Carnegie Mellon University’s David Danks at an alumni event hosted by Carnegie Mellon University in Qatar (CMU-Q). Danks, who is the L.L. Thurstone Professor of Philosophy and Psychology and head of the philosophy department at CMU’s Dietrich College of Humanities and Social Sciences, was part of a Carnegie Mellon leadership group visiting Qatar this week. The group included CMU president, Farnam Jahanian, and members of the Board of Trustees and CMU leadership.